What do you think about Netflix's Mobile-Only Rs. 250/month Plan? 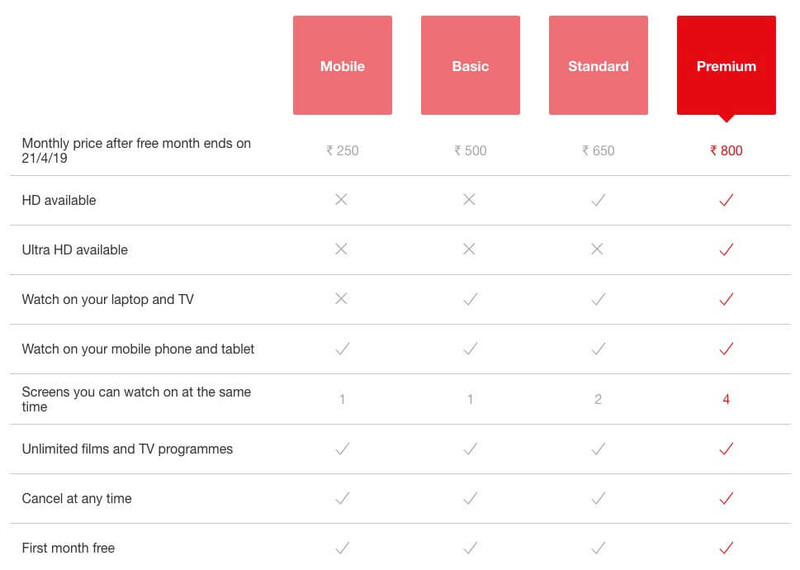 Netflix has just introduced a "Mobile" subscription plan that does not offer HD quality. You won't be able to view Netflix content on bigger screen; but the plan costs only Rs. 250/month. I want to know what is your opinion on the new plan that Netflix is testing in India? Is it worth opting for? I will stick with Popcorn-time for movies & shows streaming, I guess. Both my son and daughter have subscriptions for both Amazonprime and Netflix. Valid for viewing in five parallel viewing worldwide. Already configured on two iPads. No HD is available on mobile only plan 😱 . But it's actually a good move to tap mobile only users. I think 150/month would have been big hit. Netflix is ocean of content, you can watch amazing content for months. But cost still is high in Indian spending scenario. No matter how much is worth of content it is still just entertainment. Continuing subscription is biggest challenge. HotStart/ Prime at 1000/year, which they also provide some live matches. Netflix should not be costlier than 2000/year for single screen full hd. HD only (720p) looks bad on Tv screen.